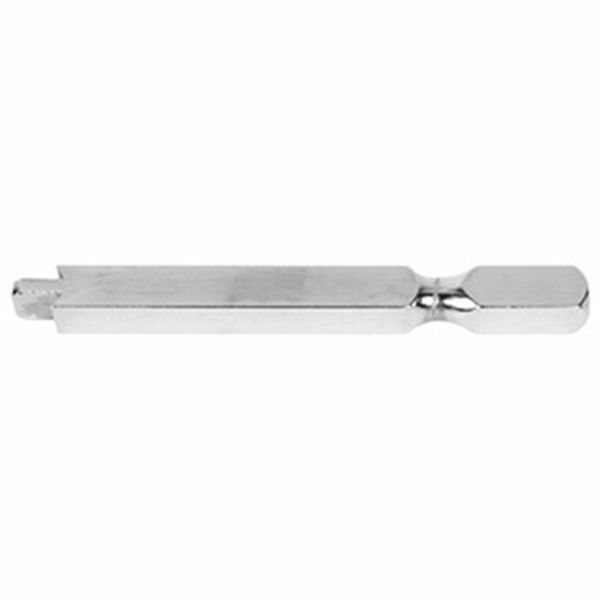 When a situation exists where either front or balance rail key bushings have become enlarged causing rocking keys, this tool enables the key bushings to be closed slightly. With the tool's unique design, all that is required is a gentle tap at the end of the tightener. Tool is 4" long, nickel plated.